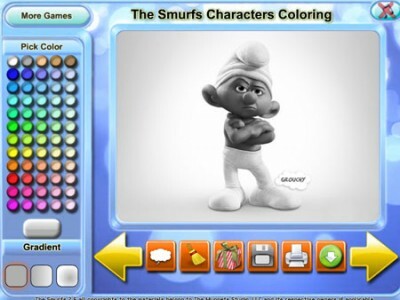 The Smurfs Characters Coloring. Games online. What could be more fun than a meeting with our old friends the Smurfs. Say hi to these lovely characters and color them to your liking. Have fun with this coloring game!